On behalf of the Western Museums Association (WMA) Board of Directors, staff, and members, I want to thank you for your work as a volunteer at the WMA 2018 Annual Meeting in Tacoma. WMA’s Annual Meeting provides museum professionals an opportunity to exchange ideas and best practices, network with colleagues, and learn more about museums in the Western region, as well as nationally. Without you, the volunteers, this would not be possible. 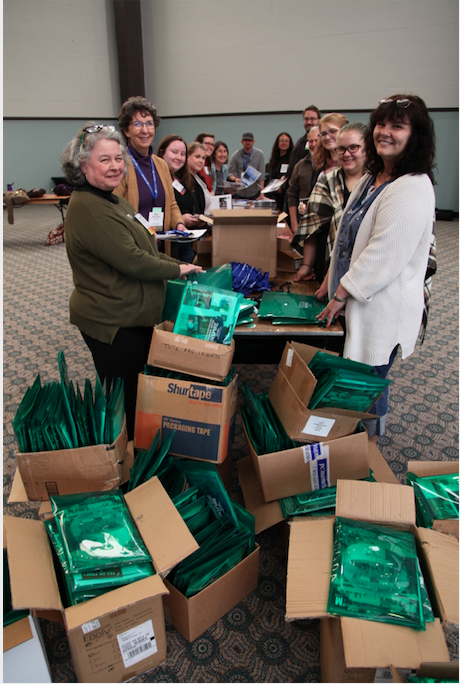 Your volunteerism was vital to the success of this year’s Annual Meeting, and helped foster meaningful experiences and interactions for 600 attendees. Whether it was creating registration packets, checking in attendees at the registration desk, answering questions, reaching out to your social media networks to spread the word about the conference, or the many other areas you assisted with, your work was laudable. We received many compliments during and after the conference about the courteous and accommodating WMA volunteers. Your fine work is greatly appreciated by us all, as a positive attendee experience will have an impact on WMA’s Annual Meetings for many years to come. Thank you for going above and beyond to help make the 2018 Annual Meeting a success!